We all look forward to weekends, and weekends in Egypt start from Thursday night. Thursday is by far the most cherished day of the week for me until now, although here in the US weekends start from Friday night. I remember when I was in elementary school, I only had Friday off – so sad but no worried it changed now :). My mom used to cook a very special dinner for us in Thursdays , so when I come home from school I could always tell what my mom is preparing as the smell fills the air in the whole building where we used to live. 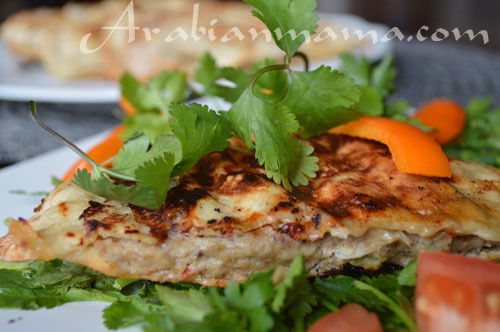 Among her special diners comes the Hawawshi is pronounced Ha- waw- shi. 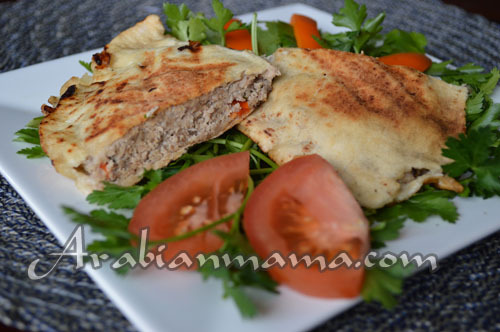 It is simply a ground meat stuffed pita bread. 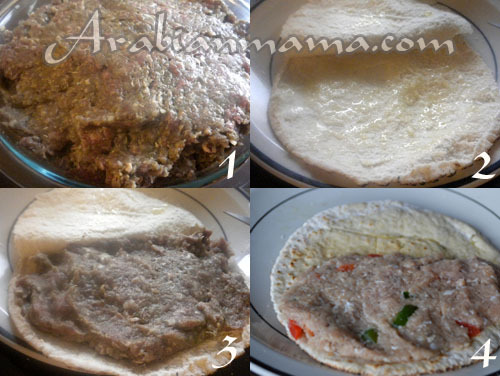 Usually you make the pita dough then put a layer of spiced ground meat in between two dough circles, but for the sake of my tight schedule I will stuff an already baked pita bread with the meat mixture, may be I will try making it from scratch next time. 1 pound of minced meat- preferably not more than 90 % we need some fat here. 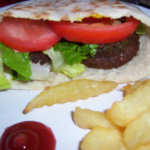 4 pita bread – here is how to make your own. 1 medium chopped yellow onion. 1 medium bell pepper chopped – any color or mixed whatever you like. 1 tsp salt, 1 tsp black pepper. 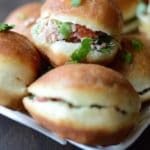 1 medium chopped tomato – optional , I did not add this as it makes the bread more soggy. Oil for brushing – olive or vegetable is fine. 1 Tsp crushed red pepper – or to your liking if you like hot food. A note : Hawawshi is known for its hot and spicy flavor so if you want you can add habanero chili or hot sauce to the meat. Preheat the oven to 400°F, mix all the ingredients together except for the pitas of course. 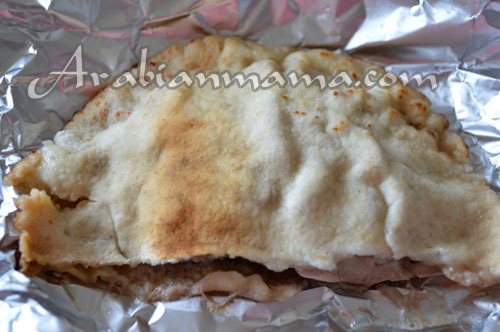 Open the pita pockets like shown below, you can cut it in half and stuff each half or stuff the whole pita and make it a big one hawawshi pocket. If the pocket did not open you can always fold it in half. 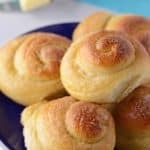 Brush the bread with oil – if you prefer butter or ghee it is ok go ahead – then stuff it with the meat mixture. 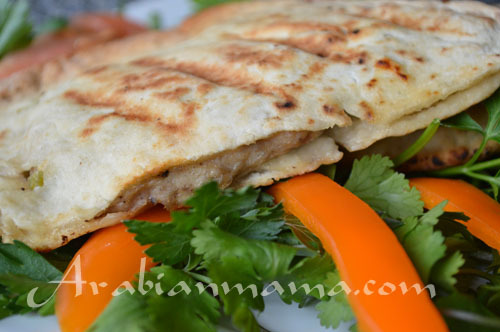 Wrap the pita in foil close well and place them on a baking sheet. Bake for 30 minutes or until you feel the meat is done. You can serve them that way BUT I find them kinda soggy. This is how it will look like. So here are your options if you do not like soggy bread like me, you can unwrap the pitas then place them directly on the oven rack until they are golden and crispy OR – and that’s what I do – grill them on an indoor electrical grill or griddle for like 5 minutes or until desired crispness is reached. Thank you so much! I am American with an Egyptian husband. I’m always looking for new dishes to learn. This was fun and easy! Thank you! Welcome Kira, I hope you’ll drop by often :). I’m happy that you’ve liked this recipe. Hope to see much of you soon.